"Better Equipment, Better Game!" This is actually the battle cry of Chris Sports, the premium sports equipment focused in the Philippines. Yes, yours truly Runner Rocky is one of sports fanatics of this brand. Most of our running sports gears were from this outlet. And also, most of the registration venues of the different running events took place in their store outlets. On the last week of February 2016, I got a privilege to take part and witness the coming of the elite sports training for the athletes in the country. This is the SKLZ Elite 2 Training. Beginning this February, Chris Sports will be launching a series of two-day basketball, football and recovery workshops powered by SKLZ, the leader in Sport Training. 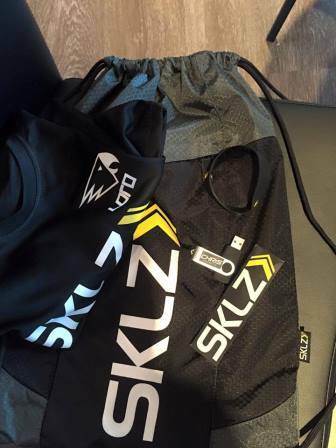 Based in Carlsbad, California, SKLZ develops skill and performance training products and programs designed for athletes of all levels. 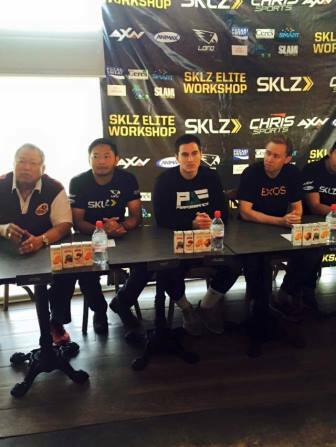 The inaugural SKLZ Elite Workshop on Performance and Recovery, Skill-Specific Basketball and Soccer Programs will include basketball, football, and recovery activities on February 20 to 21 at Xavier School in San Juan. 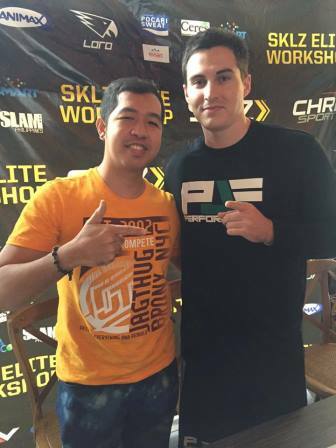 In addition to PBA legends and Sigla F.C., the workshop will feature world-renowned coaches such as Paul Fabritz, a Performance Enhancement Coach and skills trainer to hundreds of athletes including NBA, WNBA, and D1 players. For the football workshops, expected to work with Sigla F.C. (formerly Team Socceroo) is Jenn Kershaw of SKLZ. Recovery activities will be led by Cody Carter, EXOS Performance Innovation Team Manager. EXOS is the leader in proactive health and performance, trusted by elite athletes, the military, and innovative companies worldwide. 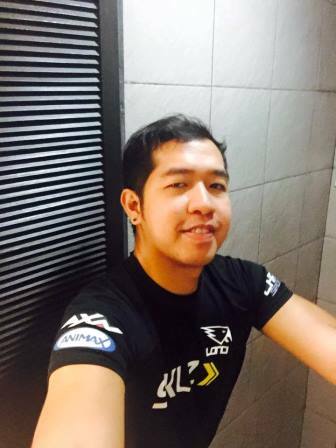 He has a Bachelor of Science degree in Exercise Science, is certified by the NSCA as a Certified Strength and Conditioning Specialist and holds an accreditation from USA Weightlifting as a Sports Performance Coach. 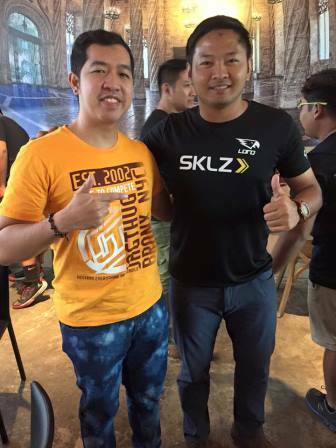 With Mark Reyes of the Reyes brothers of Sigla Football Club -- Formerly Team Soccero, Sigla F.C. is a professional football club based in Metro Manila, Philippines established in 2005. It was founded by the Reyes brothers who played in the national team. These brothers formed a team together with their friends and old teammates from football powerhouse PAREF Southridge School to continue playing the beloved game they were deeply passionate about. 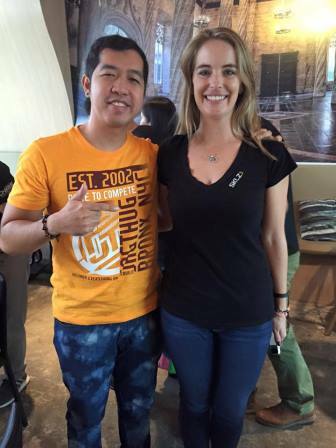 With Jennifer Kershaw— International Sales Manager, SKLZ. She played Goal Keeper in Club Soccer in Cal South Division for 13 years (largest club leagues in the country that handles over 100,000 youth players). She started on 12X League Champion Varsity HS Team and was voted All League each year. During her career, Kershaw also coached elite club keepers. With Paul J. Fabritz -- Internationally known as one of the lead Performance Enrichment Specialists. 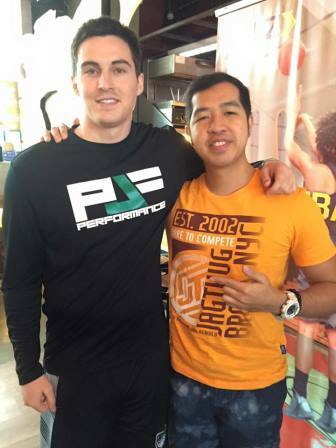 Fabritz is the personal performance trainer for numerous NBA players including James Harden (Houston Rockets), Alex Len (Phoenix Suns), Derrick Williams (New York Knicks) and numerous NBA/WNBA first round draft picks. The two-day basketball, football and recovery workshops are expected to draw over 300 enrolees and scholars (ages 7 and up for basketball and football). Separate programs will be prepared for coaches of basketball and football. Trainers and fitness enthusiasts are highly encouraged to join the recovery workshop. Fitting the SKLZ Elite Dri-Fit Shirt. This is the one I wore during my ultramarathon. Great meeting the coaches from the different fields of sports! And it was also a great pleasure to be part of this prestige sports training. Chris Sports and SKLZ truly rock!